The outstunning tools from Cableguys got a new update for Curve 2, FilterShaper 3 oder VolumeShaper 4. If you’re an legal owner of Curve 2, FilterShaper 3 oder VolumeShaper 4, the updates will be free of charge for you. The extraordinary software synth Curve 2 with the huge preset library, got a new update, that allows you now to draw step-sequences very exactly in the waveform to create rhythmical effects, like powerful wobbles or effect loops. The GUI has also been improved. The waveform points and buttons got a much better visibility. 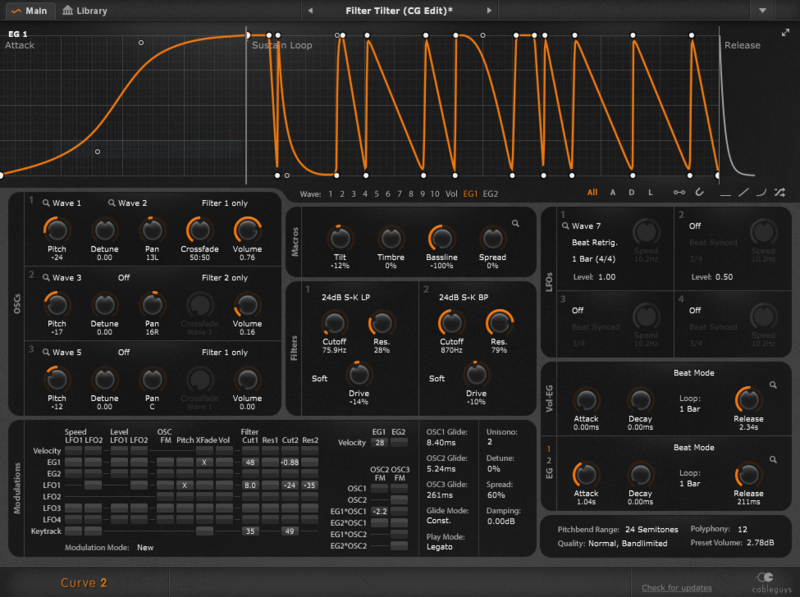 FilterShaper is a very flexible sounddesign-tool that allows you freely editable modulation curves. 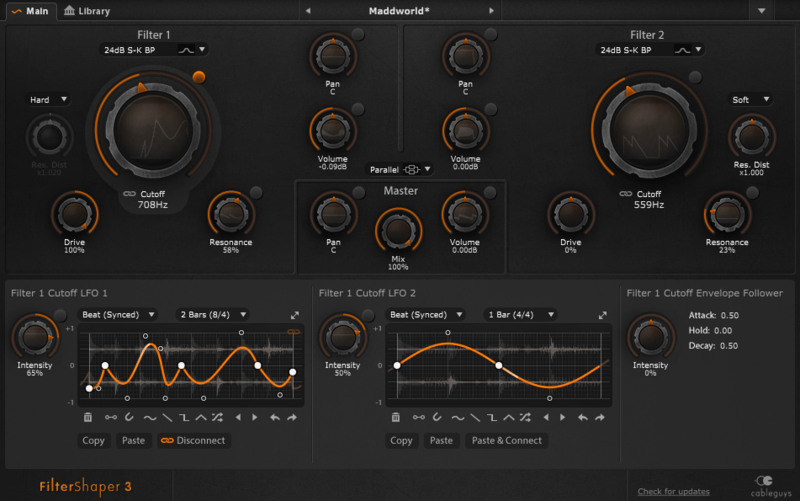 Amazing dubstep wobbles, sidechain-effects or filtersweeps are no problem for this versatile tool. Complex effects could be created fast and its waveforms could be resized. The new drawing function allows you to create step-sequences into the waveform, for trance-gates or melodic sequences. Last but not least the new integrated running light is a very useful feature that gives you a visual control to show the position within audio e.g, when LFO speed is modulated by another LFO or envelope follower. VolumeShaper is a fantastic shaper for stutter and gating effects. It’s an easy to use multiband-modulation-tool, that could be used for pumping ducking effects and allows you to create precise musical effects.The new running light is a perfect feature to see the position of the waveform. You can also draw step-sequences into the waveform, for trance-gates or melodic sequences. The Waveform is also resizable now. The preset library has been updated too.